This book starts from the position that gender injustice is the greatest human rights abuse on the planet. It blights first and developing worlds; rich and poor women. Gender injustice impacts health, wealth, education, representation, opportunity and security everywhere. It is no exaggeration to describe the position of women as an apartheid, but it is not limited to one country or historical period. For this ancient and continuing wrong is millennial in duration and global in reach. Only radical solutions can even scratch its surface. However, the prize is a great one: the collateral benefits to peace, prosperity, sustainability and general human happiness are potentially enormous. All this because we are all interconnected and all men are of women too. 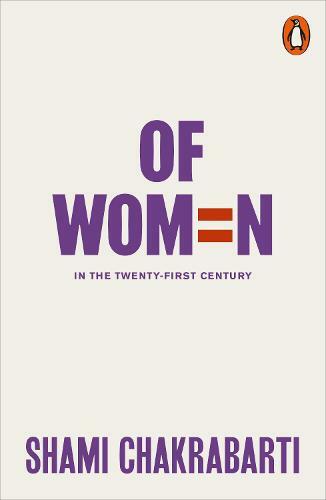 I was sent a copy of Of Women: In the 21st Century by Shami Chakrabarti to read and review by NetGalley.